These days, a lot of home maintenance can be done by the homeowner in order to save money. Instead of hiring painters, homeowners are getting their painting clothes on and painting inside rooms. Instead of hiring a flooring contractor, they’re buying flooring that can easily be installed. Rather than hiring landscapers, they’re getting the garden tools out of the shed, but with any home maintenance task, there are plenty of reasons why the homeowners should contact the professionals. 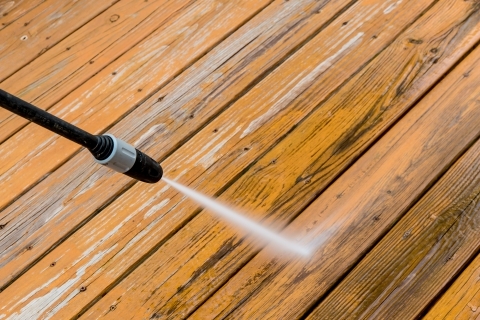 Power washing your home is no different. 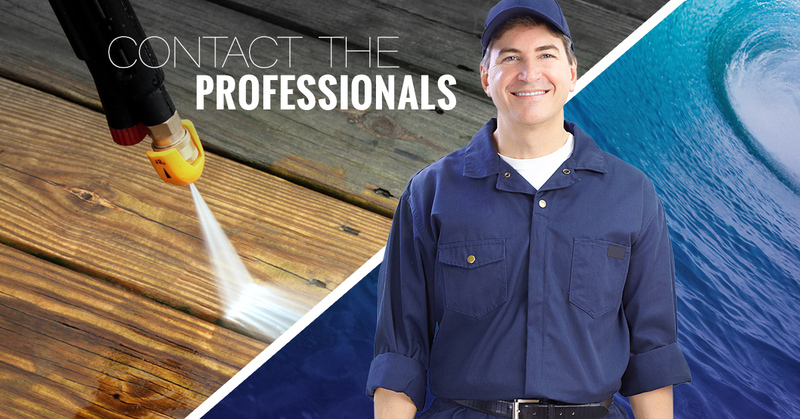 Learn why you should contact Palm Beach Pressure Cleaning instead of the local hardware store for power washing. It may look easier than it is. There are different settings on pressure cleaning equipment for the amount of pressure you want. If the pressure is high enough, it can be difficult to hold onto with enough control. Without having the experience of using a pressure cleaner, it can be dangerous. If pointed in the wrong direction, it could hit someone with high force. If not used correctly, it could damage the surface that you are trying to clean. If it’s not held at the right angle, the water could be forced up into the siding, and the insulation could get wet, which would mean the potential for mold to grow inside the walls. Companies that rent out pressure cleaners understand that the average homeowner doesn’t have experience using the equipment. Rentable machines are generally less powerful than equipment that a professional would use. This means that the professional equipment will be more effective than the machines that you could rent or purchase at a hardware store. Simpler, lower pressure cleaning units are capable of removing loose dirt and cobwebs from surfaces but are less effective when it comes to mildew, mold, and stains that have been built up over time. Professional machines also have a heated element, which adds to the effectiveness. Professional companies will also have access to cleaning supplies that will help with the stains when high pressure and heating elements aren’t enough. Imagine having to go through the steps of renting and using a pressure washer: Research which type of machine is right for the job you are doing, research different accessories that are commonly used for different jobs, practice using the machine, doing the actual job, reviewing the work and redoing spots that were missed, cleaning the equipment and finally returning the pressure washer. After an entire day of cleaning the siding, the deck and the driveway, you could have completed other items on your to-do list. When you live in an area like Lake Worth, Florida, the mold and dirt may build up faster than you would like, and you may have to pressure clean your home more often. There are many things that the homeowner can do on his or her own instead of spending the money to hire a professional, but when it comes to pressure cleaning your home, it may be a good idea to call Palm Beach Pressure Cleaning. We will come to your home with the correct equipment and will do the job effectively and efficiently the first time. You can relax inside your home, or you can take care of other pressing tasks. Whatever you decide to do with your time, you can be sure to have a beautiful home when we’re done. Contact us today.